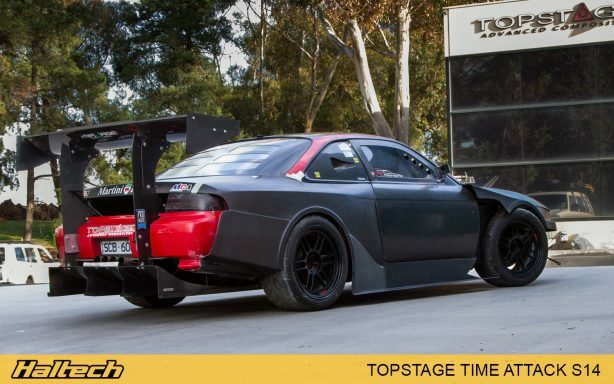 In the words of Freddy “Carbon”, the man behind Topstage Composites, the last time we saw his S14 at World Time Attack Challenge it was a “Frankenstein car”. Made from bits and pieces from here and there, the car which was Freddy’s daily driver while at university (and still sports the license plate from those days) surprised most people by posting a very respectable time of 1:32.3490 with John Richardson at the helm. 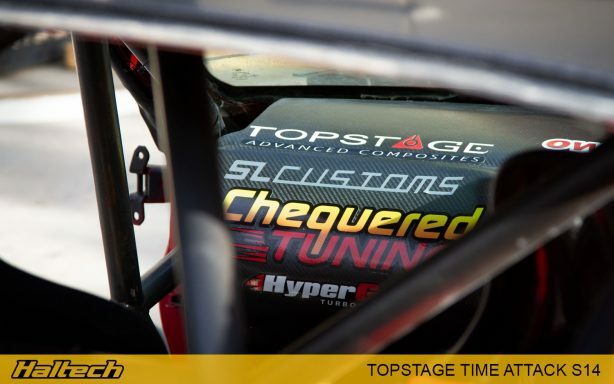 Impressed with the car’s performance, Freddy decided to have a more serious attempt and give the car a birthday by fixing a few issues, not in the least the RB25 H-pattern gearbox that gave John no end of trouble by not wanting to stay in gear! 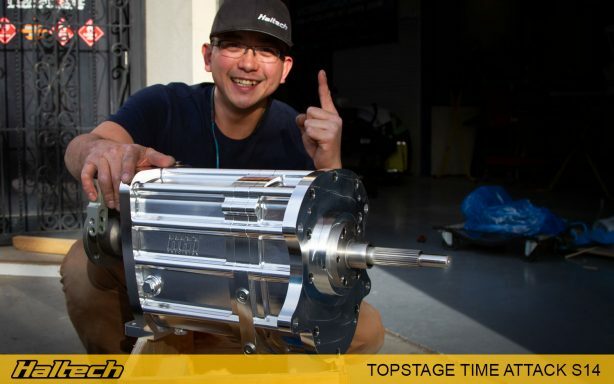 Freddy admits, he probably went overboard with the upgrade, because he didn’t have it ready in time for last year’s event, however this year it is back in a big way! 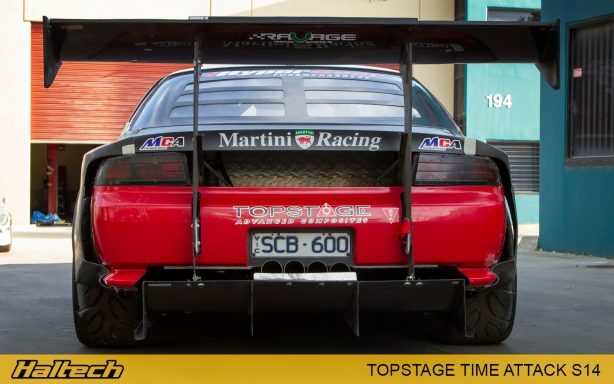 The most obvious thing about this car is the bodywork. 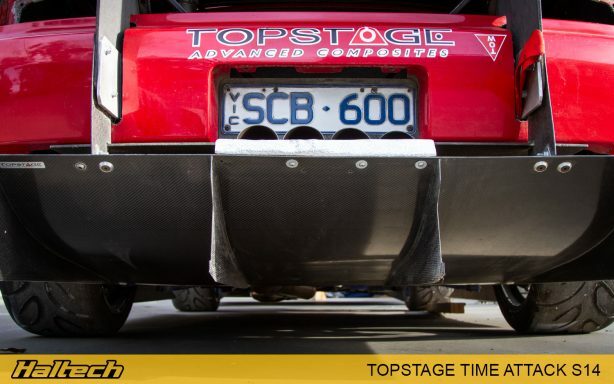 Topstage being a composites business it shouldn’t surprise anyone that the whole car is dripping in carbon. 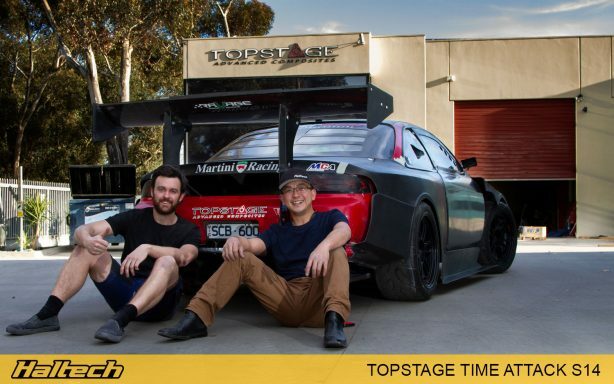 Freddy is using Topstage’s V3 Universal aerodynamic gear, meaning the front diffuser, rear diffuser, and rear wing are universal designs that can be fitted to any car. 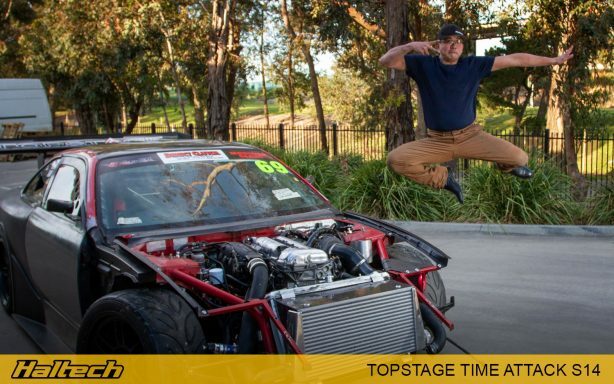 In fact, it is exactly the same kit that reigning WTAC Open Class champion JDM Yard‘s Civic uses, so it must work! 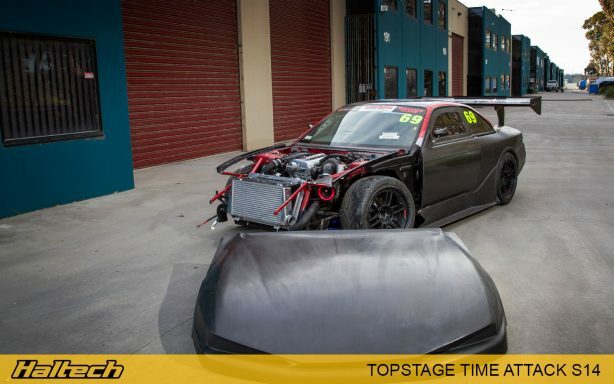 In addition to the V3 aero kit, a new front end has been developed in order to make the car as slippery as possible. 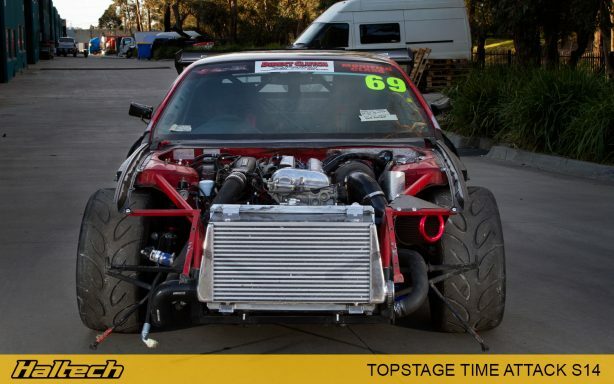 It adds a super aggressive style to the S14’s classic Kouki looks. Another huge upgrade for this year is the much lighter HGT sequential box, which should see a huge improvement in lap time compared with the dodgy H-Pattern that it replaces. 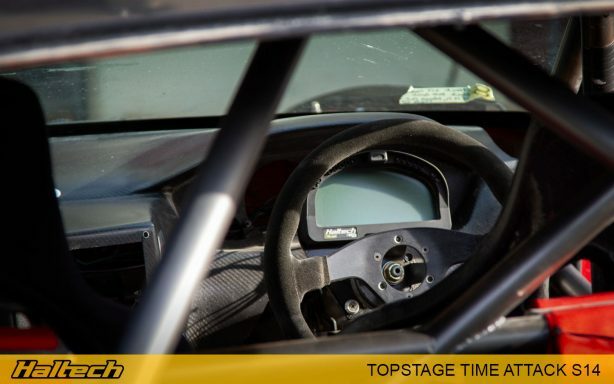 In its previous guise, the car was already under the weight limit for Open Class – wet with fuel and no driver it hit the scales at 1008Kg. In fact, ballast in the form of diver belts had to be added at the last minute to bring it up to race weight! 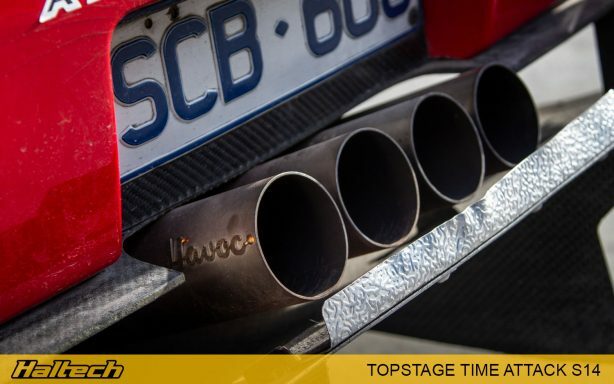 It’ll be even lighter this time at somewhere just over 900Kg, which should allow for some proper ballast to be added to the chassis for maximum cornering potential. 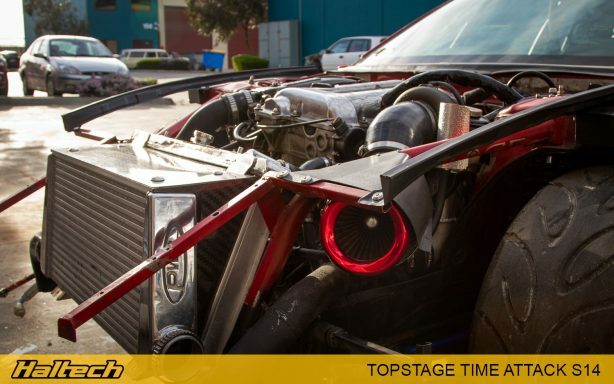 Under the carbon hood sits a Force Motorworks built SR20. 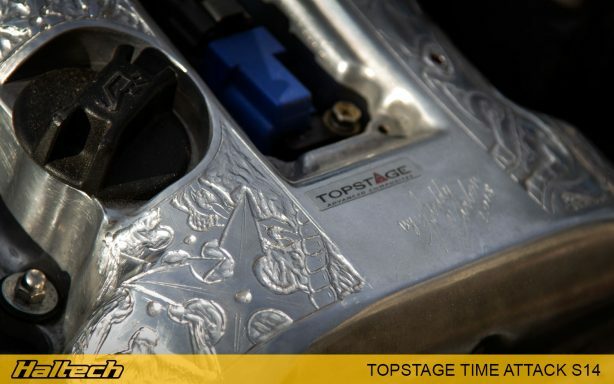 Freddy has gone crazy with the Dremel and hand engraved the rocker cover with a custom theme. Look closely and you can even see some precious gemstones inlaid into the alloy! 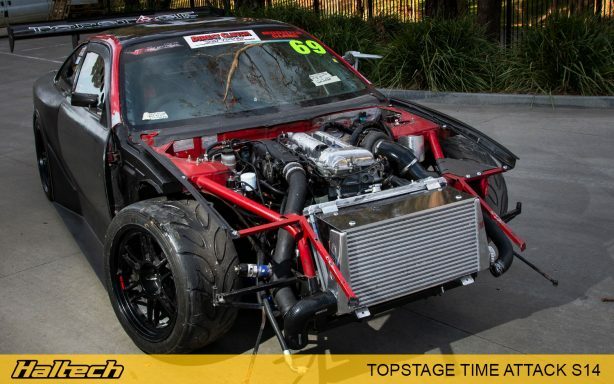 Unlike many time attack cars, this engine hasn’t been built for thousands of horsepower. 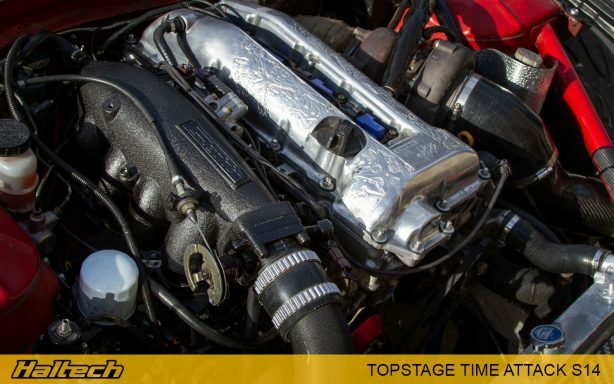 Capacity sits at the standard 2 litres and the turbo’s rear housing is one of the smallest we’ve seen! What this adds up to is 450rwKw with the response of a light switch. 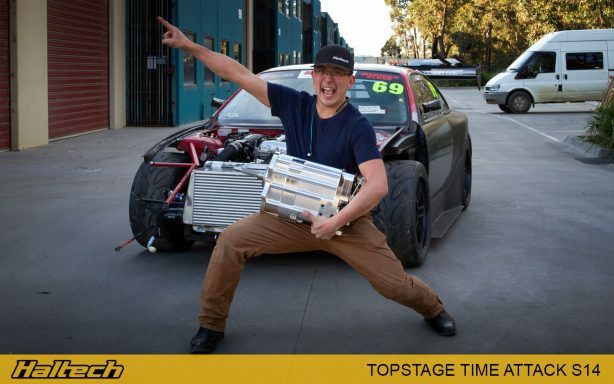 The philosophy of the build is simplicity and Freddy says his aim is to have one of the lowest powered cars in the field finish in the top five in class come race day. 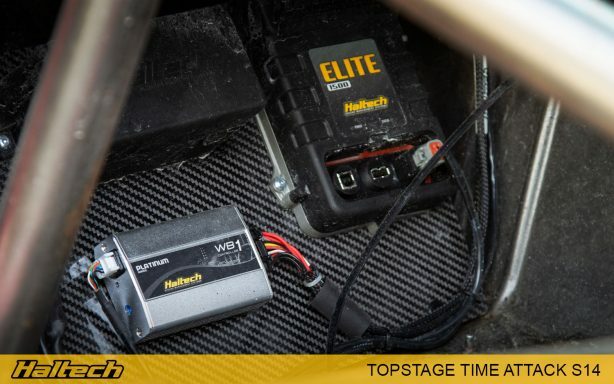 In keeping with the simplicity theme, engine management comes courtesy of a fairly basic set-up including a Haltech 1500, CAN hub, Wideband, and IQ3 dash, with Trent at Chequered Tuning looking after the tune. 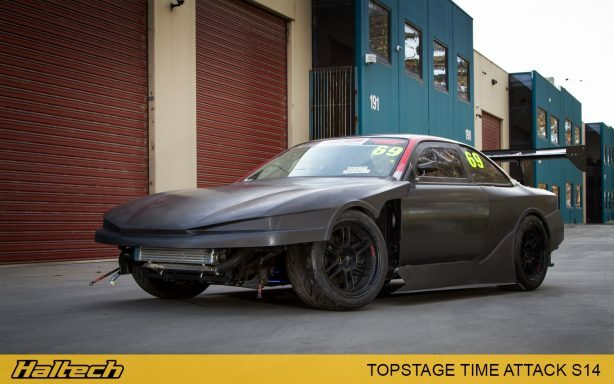 As you can see from our photos, the S14 is still a work in progress and the guys are rushing to have it finished and tested in time for this year’s event.